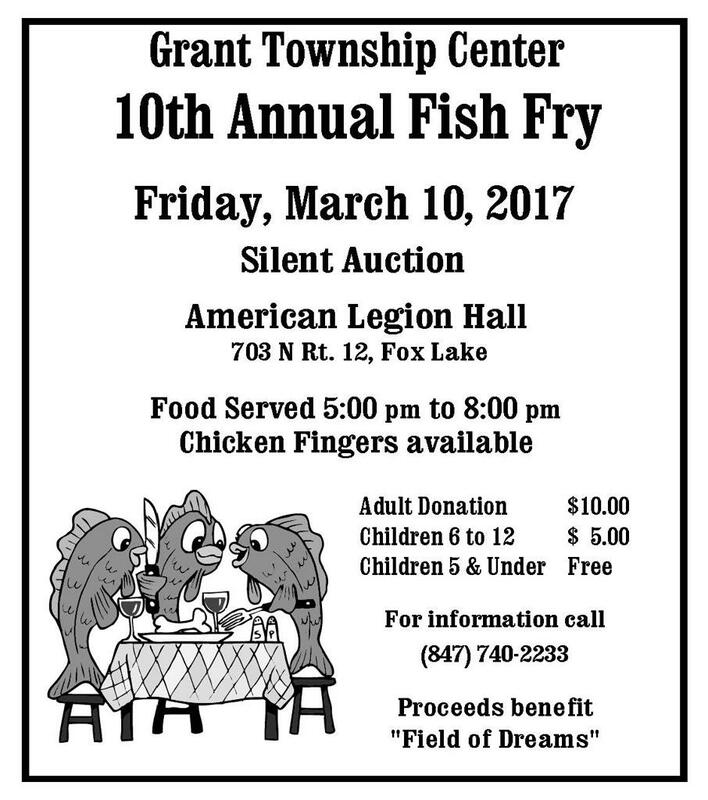 The 10th annual Grant Township Fish Fry will be held on Friday, March 10, from 5-8pm at the American Legion Hall in Fox Lake. This is a great opportunity to say "Thank you" to Grant Township for maintaining and providing us with all of our practice and game fields. The Jr. Bulldogs always have a great turn out at this event, and we expect 2017 to be no different. We really want to show our Grant Jr. Bulldog pride at this event, so we are asking all players in attendance to wear their game jerseys and all family members to wear their Jr. Bulldog fan gear! If you have any questions regarding the fish fry, you can call the township at 847-740-2233. ©2019 Grant Jr. Bulldogs / SportsEngine. All Rights Reserved.